Surgical imaging is one of the revolutionary technology for optical imaging that is utilized for image guide surgical process. The technology has permitted the medical experts to work complex surgical processes with precision. Surgical imaging utilized CT scanners, C-arms and other devices for imaging to visualize the area of surgery to grasp the properties of that specific area. This technology is developed to offer precision at the time of surgical process. In addition to this, the wide area of application is expected to allow the market to grow at a very fast pace. The global market for surgical imaging could be segmented in terms of the different solution technology and application offered. The global market could also be segmented in terms of geography. 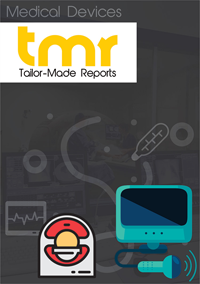 Such in depth and precise segmentation of the global surgical imaging market offered by the report helps in grasping the all-round growth prospects and the future outlook of the different segments of the market and thus, helping the potential buyers to make informed decisions while investing in the market. The report on surgical imaging market provides the analysis and forecast on regional as well as global level. It offers historical data of the year 2016 along with the anticipated data of 2017, and a forecast data up to year 2022 in terms of revenue as well as volume. The report also provide vital driving and impeding factors for the development of the global surgical imaging market and their impact on each region over the duration of the given forecast period. The report also offers the value chain analysis of the market with a list of manufacturers. The research report on the global market for surgical imaging provides vital growth prospects and key trends and opportunities that may come up in the market over the course of the given forecast period. The research report is the result of in-depth and extensive primary as well as secondary research methodologies backed by crucial market insights offered by the industry professionals. The global market for surgical imaging is expected to develop due to the growing demand for the image guide medical surgeries or processes. In addition to this, the increasing popularity and demand for minimally invasive surgeries and growing health concerns such as neurological and cardiovascular diseases are also expected to drive the overall growth of the market in the coming years of the forecast period. However there are some factors that might impede the growth of the globa surgical imaging market and may stop it from reaching its full potential. One of the key impeding factors for the development of the global surgical imaging market is the high expenses of investment. Moreover, there is an insufficient medical infrastructure to back up the use of these devices. This is also expected to hamper the market growth. Advancements in technology are making the market an open space for lucrative opportunities. One of the latest technology coming up in the market is the medical augmented reality. Surgeons are making use of this technology to enhance their field of vision while performing medical procedures. Such upcoming technologies are expected to create huge lucrative opportunities for the benefit of the market development in the coming years. The global market for surgical imaging can be segmented in terms of key geographical regions. The regions include North America, Asia Pacific, Europe, and the Rest of the World. Asia Pacific is expected to showcase the highest growth rate among these regions owing the swift rise in the geriatric population in the region such as Japan and China and also key reforms with respect to healthcare carried out in the region. Some of the key players in the global surgical imaging market include names such as GE Healthcare (US), Koninklijke Philips (Netherlands), Ziehm Imaging (Germany), and Siemens (Germany).